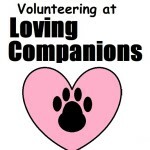 Saturday, January 27, we will be volunteering at the Loving Companions Animal Rescue cleaning kennels, cat boxes, and walking dogs. If you would like to come with us we will meet at the UCM office at 4PM and head over, we should be done working around 6:30PM. Afterward work we will go out to eat! (Dinner is on UCM) We should get back to campus by 8PM.